We think a lot about skills and what employers are looking for in new hires. Even though this data was published by the Confederation of British Industry, it closely mirrors what we experience in our job development efforts with employers and job readiness preparation with clients. Take a quick look at this graphic to remind yourself of the importance of “soft skills” and characteristics over specific technical skills and experience. Complete schedule flexibility is a very common requirement for both full and part time entry level jobs. Adding schedule conflicts for any reason, no matter how legitimate and important, makes our clients less competitive in the job market. This post focuses on practical solutions and talking points in line with the reality of starter jobs, early employment and rapid self sufficiency. There are many legal and civil rights issues surrounding religious freedom and workplace accommodation of religious observance in the workplace. You can read more about them in this guide from the Anti-Defamation League. Work schedules change from week to week depending on workload, time off requests and emergencies. Managers schedule carefully. Absences or tardiness make their jobs harder. Other team members pay the price in schedule changes and increased workloads. When hiring, employers often decide to hire a candidate who can be completely flexible to work any schedule as necessary. Many starter jobs are customer service positions that need to be done during busy times for the employer. The majority of customers in the U.S. are able to shop on weekends. That’s when many hospitality and retail businesses are busiest. Most employers that are open on Saturdays and Sundays cannot guarantee regularly scheduled weekend days off to any employee. Weekends are when many religious observances happen for a variety of faiths. The reality is that, often in their first job, no U.S. worker can expect to have regularly-scheduled days off on weekends. It would be irresponsible not to explain this fact very carefully to all clients who would strongly prefer to have weekends off for religious reasons. Doing so can also help clients avoid feelings of discrimination and protect valuable employer partnerships by screening out clients for whom the job might not be the best fit. In the US Workforce, seniority is often the best long term solution. Over time, employees are able to secure work schedules that better meet their needs. This point also reinforces the importance of sticking to a job rather than quitting too soon or hopping from job to job. Over time, as clients acquire more US workforce experience, they may be able to secure a job upgrade that can offer the schedule flexibility they require. The “best” job isn’t always the one that pays the most. We can help clients understand the factors they need to consider when deciding what is the best job for them. Another solution, depending on employer policies, would be to discuss a trade with other employees who would prefer to have a different weekend day off for their own religious observance. This solution will be more likely after a few months to demonstrate the value the client contributes in the workplace and the benefits of partnership with your agency. Here are three quick examples of the different decisions three very observant refugee families made about working on weekends. 1. The head of a large Muslim family felt that he had no choice but to accept a hotel housekeeping job that offered very little initial schedule flexibility. He stuck with the job and after only five months, he was able to secure a better work schedule that allowed him to work a split shift every Friday so he could attend mosque. 2. A Christian family chose part time work at a business that was closed on Sunday. That meant that both the husband and wife had to work to earn enough money to meet their basic expenses, but were both able to attend church services regularly. 3. A very large Seventh Day Adventist family stated from the beginning that their priority was their children’s education. So, despite the conflict with their wish to observe a Saturday day of rest, both parents took the first available job. Now, after six years in the U.S., they own their own home and all four of their children are enrolled in or have completed higher education. 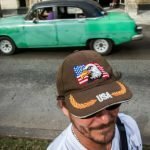 Friday Feature: What’s Changing in Cuba? Read, see and hear what Cuba is like now in a multi-media feature from CNN. Images, a video and article from Patrick Oppman focus on the effects of increased travel and reestablishment of diplomatic relations between Cuba and the U.S.
For all of us who resettle Cuban payrolees, we’ve felt the changes in recent and ongoing surges in Cuban arrivals. Check out previous Higher Friday Features and other posts highlighting ongoing changes affecting Cuban clients. Wonder how to keep current about WIOA and mainstream workforce collaboration opportunities? There’s so much information out there and not much time to find the most helpful resources for your unique mix of client, community and agency priorities. It’s even more important to make the best use of all available resources to support your growing case load. A recent National Skills Coalition webinar provided a comprehensive, practical and current overview of the important opportunities and changes that WIOA offers for refugees and immigrants as federal WIOA regulations were published. It’s worth your time to listen to the webinar archive to help you identify the best resources, programs and starting points for collaboration. The initial resettlement period is action packed for refugees and employment service providers. Everything is new. Much of it is exciting and scary. Multiply that experience by however many clients you resettled this month and it’s easy to forget the typical emotional journey of anyone who experiences life in a different culture. This 2011 resource from the Cultural Orientation Resource Exchange (CORE) is a quick reminder of a less tangible part of the new arrival experience. When clients express unrealistic expectations, don’t show up for interview practice or don’t seem fully engaged in their own job search, their experience of cultural adjustment might be part of the reason. Want to know what funding opportunities are planned at ORR and HHS? Check out forecast and RFP announcements. Of particular interest to employment is an upcoming new competitive grant application process for The Refugee Career Pathways (RCP) Program. Here’s how the official forecast announcement describes the new opportunity in HHS-2017-ACF-ORR-RC-1224. You can read more about the projected timing, eligibility and funding available via this summary from grantstation, too. Start building partnerships with American Job Centers and other mainstream workforce stakeholders now to be ready to submit a competitive proposal next year. I wanted to let you all know that I will be leaving Higher to become the Program Director for Refugee Focus in Tucson, AZ. I’m excited to return to direct services for refugees and leave harsh winters behind. Today is actually my last day on the job. I drive toward Tucson this weekend. Of course, Higher wouldn’t exist without the guidance and support of ORR and LIRS. Scanning the national landscape to identify the most helpful resources to make your jobs easier and refugee clients more successful has been the best part of the job, for me. Higher is really by and for you. That strong peer support is what has made Higher valuable and relevant for almost 20 years. Thank you all for being so generous with your expertise, success stories and field-tested strategies. Most of you already know Sarah Vail and Daniel Wilkinson. If not, you can learn more about them on Higher‘s website. They will provide a seamless transition while LIRS recruits nationally for a replacement Program Manager. Higher’s Third Annual Refugee Employment Workshop in Denver, 11/2-4, is really taking shape with strong peer leadership and national expertise. I can’t wait to hear all about it! I’m very appreciative of how much I’ve learned from working with all of you in various ways. My personal email is lorelworknews@gmail.com. I’m counting on peer support in my new role. You’ll be hearing from me again. Two recent articles illustrate proven strategies we know work, outline employer perspectives shared between U.S. and European industry and point to growing industry-led innovations to integrate refugees into the workforce. An article in fastcoexist.com highlights successful IRC employer partnerships with Chipotle, Starwood Lodging and others. They describe customized job readiness preparation, effective applicant pre-screening and interview preparation similar to services many of you provide to employer partners. According to a quote from the article, “refugees sent [to Chipotle] by the IRC are more than seven times more likely to be qualified and hired compared to someone in the company’s typical applicant pool. Businesses..say that working with refugees isn’t charity, it’s good business, according to another quote from the fastcoexist.com article from Jennifer Patterson, project director for the Partnership for Refugees, a new initiative the White House announced in June to work with the private sector. A recent article from businesstimes.com mentions on-line educational opportunities offered for refugees in Europe. Read a previous Higher blog post about a similar opportunity from Coursera for Refugees, part of the White House initiative. The businesstimes.com article highlights early successes and the corporate perspective on hiring refugees in Germany. Prospective employers express concern about limits to initial productivity due to low language proficiency. Refugee employment service providers know that employers who partner with us to hire refugees quickly see beyond initial worries about language, illustrated in this quote from the fastcoexist.com article. Statistics about initial job placements for new arrivals in Germany also mirror our success placing refugees in starter jobs with strong hospitality and service sector employer partners. Across the country, strong hotel employer partnerships yield supportive starter jobs and support for short-term vocational pre-employment training like pilot hospitality training programs developed by IRC and Starwood lodgings. Apprenticeship is already a widespread business strategy for on-boarding and training new hires in Germany. Read more about the expansion of registered apprenticeship opportunities in the U.S in a previous Higher blog post from our mainstream resource series. German employers see pre-apprenticeship bridge training as necessary to prepare refugees to succeed in apprenticeship programs. This mirrors successes many refugee employment programs have with contextualized ESL, in-house short-term vocational training programs as prerequisites to successful refugee access to other mainstream workforce resources. Businesses in the U.S. and Europe share some of the same goals and needs when hiring refugees. The services we provide to employer partners offer solutions that could be replicated in Europe. There many be lessons we can learn from bridge training in the context of registered apprenticeship in Germany.